During 2017, the U.S. team continued spreading the Double Defense® message to help veterinarians and consumers understand the benefits of using Vectra 3D®. The Double Defense® approach uses a monthly macrocyclic lactone to prevent adult worm development inside the dog as well as Vectra 3D® to kill and repel mosquitos. This approach fights both vectors involved in the spread of heartworm and the parasite that causes the disease. In Dr. John McCall’s research, using Vectra 3D® was shown to be significantly more effective in preventing the spread of heartworm than relying on a macrocyclic lactone alone. The states surrounding the Gulf of Mexico and the Mississippi Delta have the highest incidence of heartworm in the United States. Many cities and counties in the region reported more than 100 cases per clinic. To promote the Double Defense® approach, this region became the focus of marketing efforts during 2017. During 2017 several U.S. associations also revised their guidelines to recommend a Double Defense® approach. The Companion Animal Parasite Council (CAPC) revised its heartworm guidelines and introduced the first ever Mosquito Control guidelines. Both documents include information about the importance of killing and repelling mosquitos to prevent vector borne disease. The American Heartworm Society (AHS) introduced relocation guidelines during the hurricane season to help shelters reduce the risk of infecting dogs they were receiving as well as with dogs they were transporting out of affected areas. The Mosquito Guidelines and Transportation Guidelines recommend using a topical parasiticide containing dinotefuran, permethrin and pyriproxyfen. 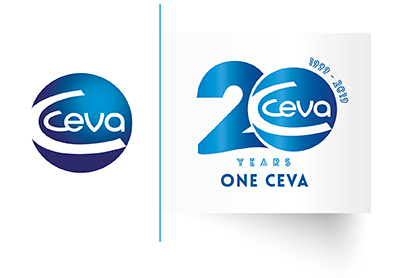 When hurricanes hit Texas and Florida, Ceva donated 11,000 doses of Vectra 3D® to shelters in the areas hardest hit to reduce the potential spread of the disease. The team also worked with AHS to ensure shelters in the disaster zones were aware of and followed these guidelines and immediately treated dogs with a topical moxidectin or Vectra 3D® as they were brought into rescue centres.